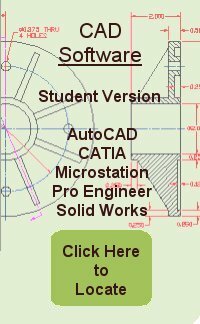 A graduate of the Fundamentals of 2D Drawing textbook and holder of World Class CAD Certification recently began to train on Bentley's Microstation PowerDraft Computer Aided Design (CAD) software. While watching this individual utilize the construction techniques learned in his World Class CAD experience, we are amazed at how easy and fast this professional can draw an entire part in a few minutes. There are various approaches to CAD instruction, but we can tell you that many graduates of the World Class CAD training who started with 2D Drawing are using different and more powerful CAD programs on the job today. They are using 3D modeling and analysis tools. In many instances, they are excelling because our training has them well versed in the basic application of most commonly used command buttons and have a strategic approach in handling large assignments. The World Class CAD training involves project oriented sessions where time and accuracy count. 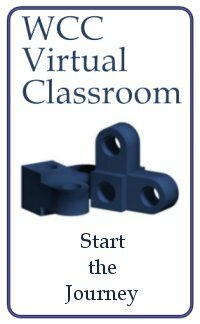 Our professional students practice their CAD skills similar to highly trained professionals and technicians, who repeatedly practice through assignments until the standard is met. In this textbook, World Class CAD - Beginning with 2D CAD, our author will use many visual aids to assist you in learning the Bentley Microstation PowerDraft V8i software in 2D mode. Many companies use Microstation V8i to create drawings for utilities and building projects, so you will most likely use this software during your career. After you become skilled at the basic two-dimensional techniques, your next step is to begin the Advancing with 3D CAD using the same software.